A good sauce can take a dish from drab to fab. Learn how to whip up a flavorful, drool-worthy sauce today that will help bring your dishes to life. 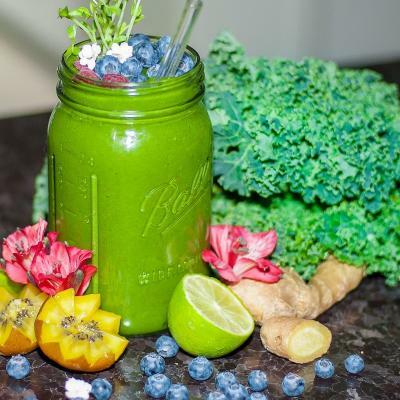 Spicy Green Smoothie - with Hemp CBD! 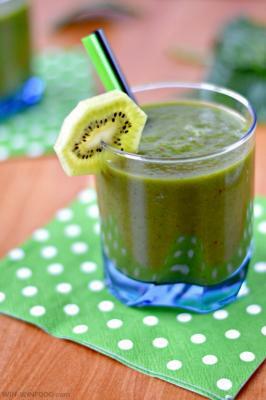 We think it's safe to say this is NOT your average green smoothie. This potent recipe by Anarki Indigo of The Indigo Kitchen features quite the superfood kick thanks to anti-inflammatory turmeric and Hemp CBD, as well as a nice dose of heat thanks to circulation-enhancing chili pepper. 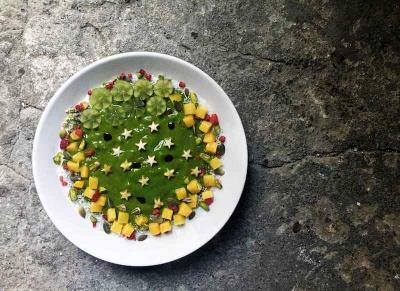 This unbelievably refreshing kiwi spinach smoothie by Lucie Javorska of Win-Win Food is the perfect way to replenish yourself if you're feeling a little low in energy. Great for post-workout, as it immediately cools the system. The flavors of sweet apple and coconut water with tart kiwi combine to create the perfect balance. There is nothing better than starting the day feeling energized and refreshed! 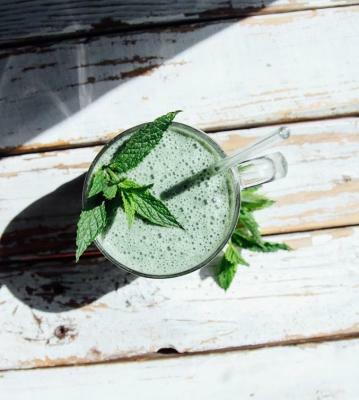 This smoothie by Julie Van den Kerchove of Julie's Lifestyle will definitely help you get there. 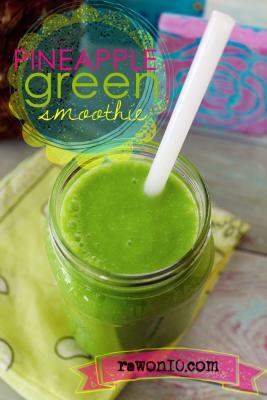 This creamy green smoothie is absolutely loaded with nutrients and fiber to help curb cravings and keep you feeling satiated all morning long. Enjoy! 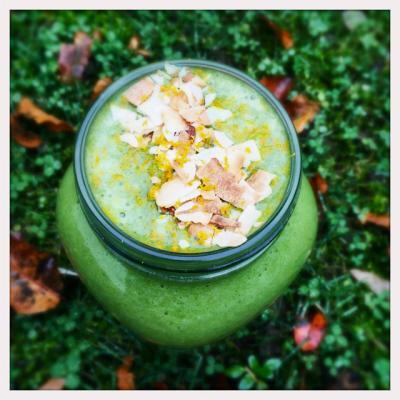 This yummy green smoothie by Emily Von Euw of This Rawsome Vegan Life is pure holistic plant medicine! It contains ingredients to help boost the cognitive function of the brain as well as uplift the mood - something we could probably all use on a Monday. 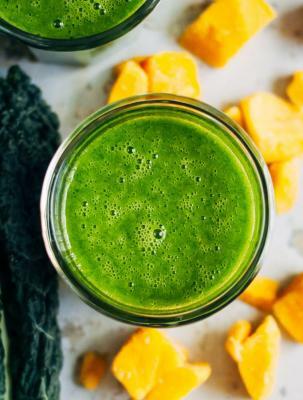 This mango and green tea detox smoothie by Sarah Aldrich of Well and Full is full of nutrients and natural antioxidants - perfect for a detox or cleanse! 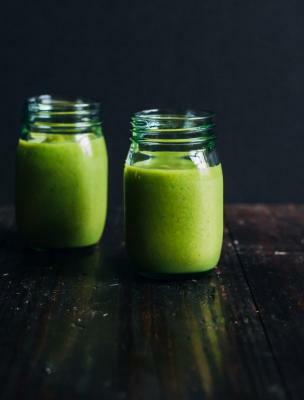 This yummy green smoothie recipe by Sarah Aldrich of Well and Full is super simple, and super delicious. Great for days when you need to blend something up quick and run out the door. This raw and healthy pineapple party in your mouth is super simple and perfect for spring. Hawaiian pineapple season is April and May, even though they're available year round. To make this extra thick and frosty, cube and freeze pineapple and any subsequent pineapple juice in ice cube trays. Store frozen cubes in plastic bags for ultra easy prep. 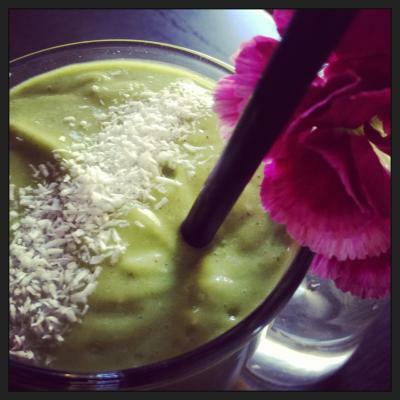 Recipe by Lisa Viger of Raw on $10 a Day or Less. 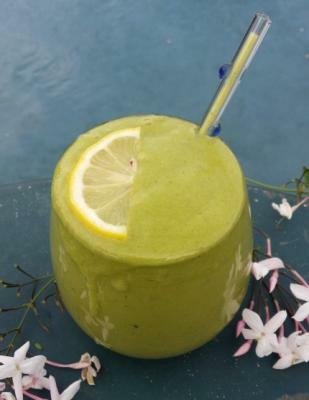 This lemon drop smoothie by Christine Roseberry of Just Glowing With Health has the perfect amount of sweetness with a dash of lip puckering lemon that will make you think of a lemon drop. 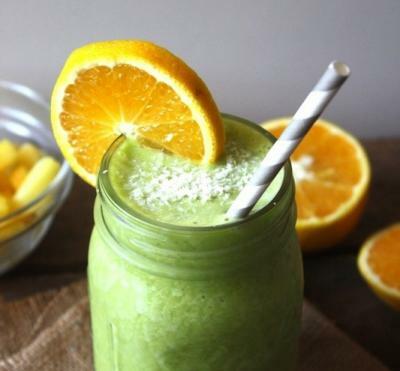 The key to this green smoothie recipe is that the Meyer lemon is juicy, ripe and sweet. After-all, the recipe is ALL about that sweet tart and refreshing flavor of lemon. Enjoy! 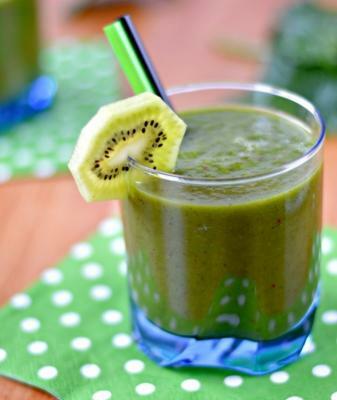 This unbelievably refreshing kiwi spinach smoothie by Lucie Javorska of Win-Win Food is destined to become your new favorite ultra-healthy refreshment. It immediately cools you off and the balance of sweet and sour flavors is just perfect. If you find yourself avoiding smoothies because you're not a fan of bananas, this is also a great recipe for you. 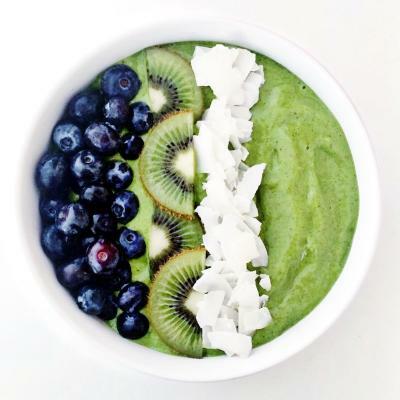 True to its name, the morning warrior smoothie bowl by Lily Kunin of Clean Food Dirty City will motivate & invigorate you through a simple combination of some of the chefs daily staples, including an extra punch of protein. 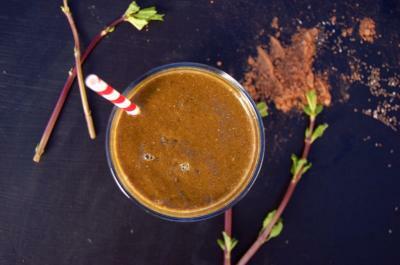 Hydrating and packed full of anti-inflammatory agents like ginger and turmeric, as well as full of fiber and protein, this smoothie is also a perfect go-to for resetting post-workout. New Year, new opportunities to make a fresh start and get healthy! Beginning of the year calls for heavy weights, yoga flow and green smoothies! Make positive lifestyle choices anytime. Green smoothies are a brilliant way to get more greens into your diet and not only are they good for you, they taste amazing! This simple recipe by Kelly Fielding of Bella and Bhakti will get you started, but fear not, there will be many more to come! 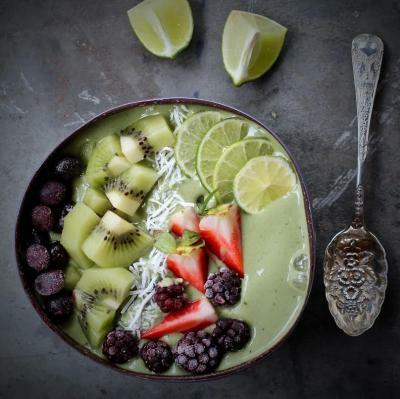 Kick back, put those feet up, and enjoy this seductive smoothie bowl by Kath and Jade of Panaceas Pantry. With its tropical-inspired flavor combo of coconut, banana and lime, you might even forget that you're sipping on something packed full of detoxifying, re-mineralizing and alkalinzing greens. Enjoy!